Designed predominantly for latest generation sports cars of medium to high power, P7 represents a contribution to performance in the wet, precise cornering, safety during braking and, above all, lifelong ability to maintain these characteristics. The new tyre perpetuates the legendary name of the P7 - Rally World Champion, the forerunner of ultra-high performance car tyres derived from motorsport. P7, together with P6, marks the introduction of a new generation of tyres positioned as top of the range in the segment currently occupied by the P6000 family. P7's attractive asymmetric design blends style with an aggressive look. The tyre is a step ahead in active safety and driving performance thanks to the adoption of the STEP (Safety from Technically Engineered Profile) and ELRR (Extra Low Rolling Resistance), patented systems fostering a more harmonious interaction between the various performing components of the tyre. 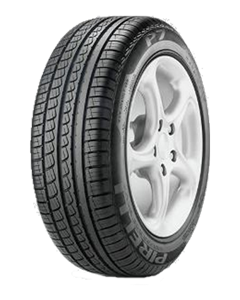 The result is a tyre effective in the wet, assured in braking, cornering, steeering response and also comfortable on long motorway journeys.